The VPN industry is getting crowded, and it seems like only the top quality providers succeed to survive. PureVPN is here from 2007, and in this period it has steadily increased the number of servers they have and the quality of their service alongside with the addition of some value adding features. PureVPN was founded back in 2007 in Hong Kong and since then it has developed in one of the biggest proxy providers, at least server-wise. The list of countries is somewhere around 60 and there are over 330 servers on those locations. It has all the features like other companies in the industry, but PureVPN also adds its own personal touch with some really cool features. That’s why it’s one of the top choices among advanced technical users. This review will try to make a balance between the large scale of servers that PureVPN has, versus the quality of the service. Let’s go through it to see the good and bad side of this provider. You already know the basic features that consist almost every successful VPN provider. PureVPN has them all and has developed them to their fullest. One of the unique features that you’ll find with PureVPN is the Split Tunneling tool. This tool allows the user to select what applications need PureVPN services and what applications are good on their own. You can add or exclude programs through the Split Tunneling tab. PureVPN, as many other companies in the industry, has simple and easy to use interface. On the left side you will find all the basic features that you can use and on the right side you can choose between the protocol and server that you want to use. You can also track your current status in the top right corner. You will be able to install PureVPN on Windows, Linux and Mac operating systems while the software supports Android devices, iOS devices, tablets, all other types of smartphones, DDWRT and Tomato routers. This is one of the most important things for you when you look for the perfect VPN provider. Why would you want to have a provider that you can’t connect on your mobile or TV set. The actual installation process begins after you select your location in the second screen of the installation window. This will allow you to download the tool that will start your actual installation. You will need to have .NET Framework 4.0 Client Profile on your devic. If you don’t know where to find this, the installation client will do this for you. After you finish with the installation you will enter PureVPNs home screen that features only couple of tabs with most used features, graphics on how many packages are being transferred at the moment and your status in the upper right corner. If you choose China instead of Rest of The World when installing you will later not be able to chose the location of the server you want to use. PureVPN uses the following protocols L2TP/IPSec, PPTP, SSTP, OpenVPN and IKEv2. At least this is stated on the homepage, but in reality you will be able to use only PPTP, L2TP and SSTP. This is also good, but if something is promoted in a manner then you should have access to all five protocols. According to PureVPN in order for a customer to have access to OpenVPN he will need to select that option during customization in the internal configuration settings. The IKEv2 protocols needs to be installed manually by the user. It sounds strange, but PureVPN has maybe exaggerated with the available protocols from the very beginning. You will find PureVPN’s customer support excellent and the team very knowledgeable about all subjects. You can access it through the company website and while you’re using the proxy software. The FAQs section will sometimes be enough because it provides answers to almost all questions related to the company and VPN in general. If you still can’t find an answer just use the Live Chat or if you prefer communication through mail use the query form. The Live Chat response comes pretty quickly. The support team at PureVPN can also remotely control your computer in order to fix any problems that you have, normally with your consent. The Network Address Translation Firewall is a tool created by PureVPN that will erase all of your security related doubts. This firewall is present with the server you use and will fix all the troubles that may arise because of your weak Windows based firewall software. Great for all customers that reside in countries with high censorship and have ISPs. It’s compatible with all operating systems and devices. Perfect solution for all users that just want to open their VPN service and start browsing. This is actually an addon that will give all customers a special place where they can find all the streams they need to receive or upload. It’s a streaming browser in general. Great for users that have slow internet connection. Another addon that will give all users one fixed IP address. 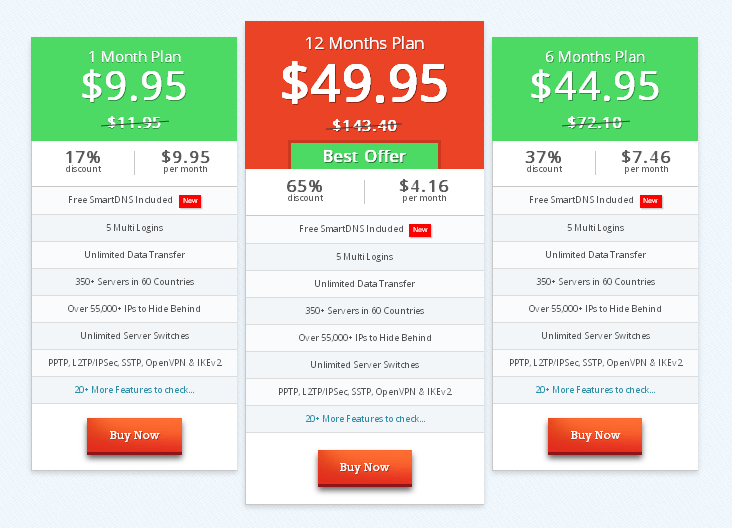 The feature is perfect for highly technical VPN users and people that are a part of some online business. You can use the Dedicated IP plan alongside with the Dynamic IP plan that comes with the basic profile. PureVPN has lots of international servers, which is always a big plus when talking about quality of service. They use the best protocols available although some of them are not so easy to setup. PureVPN is a dedicated provider with great customer support and knowledgeable team. Their network is growing every day and it is expected that they will release even more unique features similar to their Split Tunneling tool. Some of the additional features only say about the high quality standards that PureVPN sets. Compared to the features it offers, PureVPN is not so pricey and you will easily manage all of the features that you can find in their simple interface. We’re sure that some of you already have experience with PureVPN, so we would like to hear your thoughts about this provider. We would like this review SG has created to be an influencing piece of article in the niche. PureVPN is a highly professional VPN provider and it has some unique features that you can’t find on other places (talking about the Split Tunneling feature). You will also be able to choose from more than 300 servers, which is a big plus and the price is not so bad.